Spare Parts — Age: 13+; MPAA Rating — PG-13 for some language and violence; Drama; 2015, 115 minutes; Color. Available from Amazon.com. 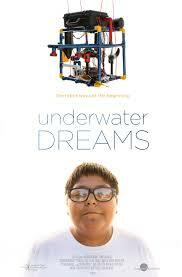 Underwater Dreams — Age: 12+; Not rated; Documentary, 2014, 86 minutes; Color. Available from the movie’s official website. Note to Teachers: The U.S. is currently engaged in a wrenching debate about what to do with eleven million illegal immigrants living within its borders. These movies put a human face on the most vulnerable of the immigrant populations, “the Dreamers” — children born in another country and brought to the U.S. illegally by their parents. While there is some truth to the claim that the movie provides arguments for one side in the immigration debate, the universal human truths shown in Spare Parts and Underwater Dreams are important for a full understanding of the problem of undocumented people living in the U.S. This is true no matter what position a person ends up taking on the issue. Other films that perform the same function with immigration generally include the classic, El Norte, and the more recent, A Better Life. TWM offers the following worksheets to keep students’ minds on the movie and direct them to the lessons that can be learned from these movies. For either film: Worksheet for Cinematic and Theatrical Elements and Their Effects. See also TWM’s Historical Fiction in Film Cross-Curricular Homework Project and Movies as Literature Homework Project. Born in Mexico, raised in Phoenix in impoverished homes, under constant threat of deportation, four undocumented students from Carl Hayden High School entered the 2004 Marine Advanced Technology Education Robotics Competition. Having little money for materials, their robot was an eclectic mix of PVC pipe and off-the-shelf motors, including the last minute addition of tampons to absorb water leaking into the circuitry. They entered the college division because they figured it would be less humiliating to come in last when competing against colleges than it would be to come in last against other high schools. These films, like Stand and Deliver, show disadvantaged Hispanic kids from poor neighborhoods, sparked by inspiring teachers, performing amazing feats beyond all expectations. They are inspirational for all students. The movies show that with hard work, any barrier, including the difficulties imposed by an impoverished background can be overcome. Spare Parts can be used as an example of historical fiction. Underwater Dreams can be used as an example of a documentary. The films also raise the issue of the Dreamers, kids illegally smuggled to the U.S. by their parents and who grow up as Americans. Before President Barak Obama’s policy of Deferred Action for Childhood Arrivals, Dreamers faced deportation and may do so again if Congress does not act or if another President rescinds the policy. Finally, the movies, especially Spare Parts, are an excellent way to motivate students to read all or selected portions of Joshua Davis’ book Spare Parts: Four Undocumented Teenagers, One Ugly Robot, and the Battle for the American Dream. Spare Parts: The movie shows a botched armed robbery, bullying, a few fights, profanity, and tense family confrontations. Underwater Dreams has no possible problems; however, adults who present this film to students should know that it takes a strong stand in support of legislation to legalize the “Dreamers” and keep them in this country. Watch the movie with your child and discuss the situation of the Dreamers. Suggest that your child read the book. See Bridges to Reading section. Before showing Spare Parts, tell students that the filmmakers changed some details and some of the aspects of the characters to enhance the story. However, most of the movie and certainly all the important parts are true. No introduction is necessary for Underwater Dreams. Consider using TWM’s Film Study Worksheet for a Work of Historical Fiction (for Spare Parts) or Film Study Worksheet for a Documentary that Seeks to Persuade on Issues of Political or Social Significance (for Underwater Dreams). Adapt, print, and distribute the worksheets to the class before they see the film. Review the questions on the worksheet before students watch the movie. One way to start a discussion is to ask students what they think about five common misperceptions about immigration and then to provide them with the facts. See Immigration Myths and Realities — A list of 5 common myths about immigration to the United States from PBS. Or, students could be asked to research these misperceptions and report their findings to the class. Another interesting thing to do with Spare Parts is to tell the kids how much of the film is true and how much was made up by the movie makers. Here are some of the most important points. The basic story is accurately portrayed; four undocumented Latino kids from the poor neighborhoods of Phoenix entered the national underwater robotics competition with a remote operated vehicle (“ROV”) made from off-the-shelf components, including PVC pipe for the frame, and beat the best colleges in the nation, including MIT. There is a lot of truth in the characterizations of the students. Oscar Vazquez was an ROTC cadet who dreamed of enlisting in the Army but couldn’t because he was undocumented. He was just as much a natural leader as the character shown in the film. Cristian Arcega was the nerdy designer of the robot. Luis Aranda was big and quiet, but not at all slow. Lorenzo Santillan was not only a smart-aleck, but also an intuitive mechanic, if not quite the mechanical whiz shown in the movie; Lorenzo came up with some of the innovations that made Stinky a success. There was no advertisement for the Robotics competition in the recruiting office, nor was Oscar the impetus for the group although Oscar was very much a go-getter and leader. Entering the competition was the idea of the teacher and there were two of teachers, Fredi Lajvardi and Allan Cameron. There was no engineer who was a substitute teacher and who thought about leaving the school in the middle of the term. There is no evidence of the fights and that Louis had to protect Cristian from bullies at the school. These were added for dramatic effect. The judges did give a special award to the Carl Hayden team which the boys and the teachers originally thought was going to be a “pity prize” and that they had lost the competition. Lorenzo really did ask the teachers if they could go to Hooters if they won. When the announcement was made that Carl Hayden High School had won the competition, the first thing that one of the teachers said to Lorenzo was that he should not mention Hooters when they got up on the stage. 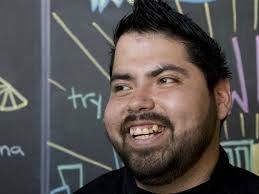 Luis was able to get a green card and although he graduated from culinary school and is a trained chef, he works days as a janitorial supervisor. Luis and Lorenzo have become good friends. Lorenzo also graduated from culinary school. He works full-time as a chef. 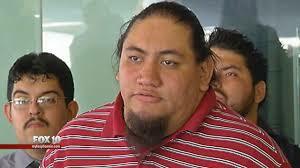 During his off hours, he runs a catering business, which has always been his dream. Luis helps Lorenzo out when the business gets busy. Oscar got married and had a child, but repatriated himself to Mexico and lived there for almost a year. If a person has come to the U.S. illegally and stays here for a certain period beyond his 18th birthday, in order to get a visa to come back, he has to live in a foreign country for ten years. Oscar lived in Mexico alone, with only occasional visits from his family. It was a pretty horrendous time, because the INS turned down his requests for a hardship waiver so that he could return to his family. During his time in Mexico, Oscar worked as a farm laborer and later was hired as a supervisor in a factory. Mr. Cameron’s wife organized a truck full of furniture for Oscar, and she and Mr. Cameron drove it to Mexico. Oscar was finally given a waiver when a U.S. Senator, Richard Durbin, who sponsored the Dream Act, put pressure on the INS to give Oscar a waiver. That finally happened, and after about a year, Oscar was able to get a green card and return to the U.S.
Last we heard, Cristian is still struggling to finish college, which was interrupted when Arizona voters approved a law denying in-state tuition to illegal aliens, even if they were brought to the U.S. as children, had themselves committed no wrong, and for most of them, the USA was their home and Mexico was a foreign nation. Lorenzo and Cristian are now protected by President Obama’s policy of Deferred Action for Childhood Arrivals. However, this could abruptly change if the new President, who will take office in January of 2017 decides to change the policy. After the film has been watched, engage the class in a discussion about the movie. 1. What should the U.S. do with the Dreamers? Should they be rounded up and sent back to Mexico? Should they be denied benefits like reduced tuition for residents at state universities? There is no one correct answer to this question. It is a matter of debate. If there is no disagreement in the class, one way or the other, the teacher should play the devil’s advocate and take the contrary position to stimulate debate. For example, if most students in the class are in favor of the Dream Act, teachers might want to give students the following quote from Dean Kamen, the man who invented the Segway. about the way the U.S. treats the Dreamers, ” If you look at this policy. . . you would have to conclude that it was designed by the most thoughtful and insightful terrorists who have as their only goal to undermine and destroy America.” If most are against providing relief to the Dreamers, then ask how the U.S. is going to discourage parents from bringing their kids to the U.S. if once the kids get here, they are guaranteed to stay. 2. What was the hardest obstacle for the students to overcome? See Discussion Questions for Use With any Film that is a Work of Fiction. Class discussion questions for Spare Parts can also be adapted from TWM’s Film Study Worksheet for a Work of Historical Fiction. 3. [Ask several members of the class, individually:] Describe a fact shown in the movie that impressed you and explain how that fact relates to the film’s premise or theme. 4. When the Carl Hayden students were invited to MIT many years after the competition, each member of the two teams described what they had been doing since the competition. What did you think about the differences in the jobs held by the Carl Hayden kids and the jobs of their defeated MIT opponents? It was appalling. Only Oscar has a job that deals with engineering. 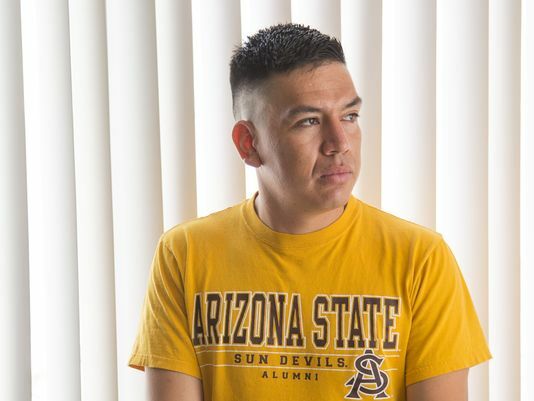 Cristian, the brain of the outfit, had been forced to leave college by Arizona’s Proposition 300. Class discussion questions for Underwater Dreams can also be adapted from TWM’s Film Study Worksheet for a Documentary that Seeks to Persuade on Issues of Political or Social Significance. Any of the discussion questions can serve as a writing prompt. Students can be assigned to fill out and present full paragraph responses to the questions contained in TWM’s Film Study Worksheet for a Work of Historical Fiction (for Spare Parts) or Film Study Worksheet for a Documentary that Seeks to Persuade on Issues of Political or Social Significance (for Underwater Dreams). 1. These movies offer an opportunity to get students to read. The book is Spare Parts: Four Undocumented Teenagers, One Ugly Robot, and the Battle for the American Dream by Joshua Davis, the journalist who broke the story of the Carl Hayden Robotics team. It is an excellent, readable, in-depth description of the students, the teachers, the events leading up to the victory, and the events afterward, including the painful and heroic decision by Oscar Vazquez to return to Mexico and his fight to come back to the U.S. as a legal resident. Students who see the film will be very interested in reading the book. For a post-reading writing assignment, students can be asked to list the differences between the book and the movie, to provide ten facts in the book that are not in the film, to discuss what most surprised them when the read the book; or to describe the different reasons each of the four Carl Hayden students had for signing up for the robotics club, etc. If there isn’t time to read the entire book, certain chapters may be of interest to different students, although TWM bets that kids assigned to read a portion of the book will be so interested that they will read more than the specific pages assigned to them. For example, students can pick their favorite among the four students and read the sections of the book relating to that student. The following selections include the description of the school and the immigration situation in Phoenix as well as information about the particular students. Sections of the book about Lorenzo, whose characterization in the movie varies more from the real Lorenzo than the characterizations of the other students, are at pp. 9 – 19, 31 – 36; 74 – 76; 193 & 194 and 222; the selections relating to Cristian are at pp. 15 – 36; 70 – 76; 190 – 192, 222; the sections relating to Luis are at pp. 15 – 19; 31 -36; 74 – 76; 81 – 84; 222; and the sections relating to Oscar are at pp. 15- 19; 31 – 53, 74 – 76; 77 – 80; 195 – 218, and 222. The following pages relate to the stories of the teachers: Fredi Lajvardi: 15 – 19; 54 – 66; 85 & 86 and 222; Alan Cameron: 15 – 19; 62 – 69; 85 & 86, and 222. 2. Write an essay about your most inspiring teacher and how that teacher affected you. 3. Write a persuasive essay advocating for your position on the Dream Act and President Obama’s Deferred Action for Childhood Arrivals. 4. One of the students said, “We are American in every way but paperwork.” Is this true? What does it mean to be an American? Suggested Response: The United States is the only country in the world in which, except for the Native Americans, if you go back only a few hundred years, everyone is from somewhere else. All that it takes to be a full-fledged American is to adopt American ideals and pledge your allegiance to the country. While there are immigrants in other countries who are accepted and live their lives in their adopted nations, they are always different from the people who were born there. In the U.S. that’s not a difference because our relatives, perhaps distant relatives, but our relatives were also from somewhere else and became Americans when they accepted American ideals. What are the American ideals? Well, politically, they are set out in the Declaration of Independence and the Constitution. But there are also a host of other ideals that are important to the American ideal. A good exercise is to ask the class what they think they are. Here are some suggestions: religious and political tolerance, democracy, freedom of speech and association, the rule of law, individualism, etc. See also Additional Assignments for Use With any Film that is a Work of Fiction. Spare Parts: Four Undocumented Teenagers, One Ugly Robot, and the Battle for the American Dream by Joshua Davis. This Learning Guide was written by James Frieden and was first published on December 7, 2015. See My Family, Stand and Deliver, A Better Life, McFarland, U.S.A., For Love or Country — The Arturo Sandoval Story, West Side Story, and El Norte. For college-level classes, check out Lone Star, an excellent film with a unique twist on white-Hispanic relations in a small Texas town.